Kate Lutz (a.k.a. Kit Kat) is a senior from Baltimore, MD, here at University of New Haven studying Forensic Science and Pre-Medical Biology. She’s also the President of the Science Fiction and Fantasy Club on campus. 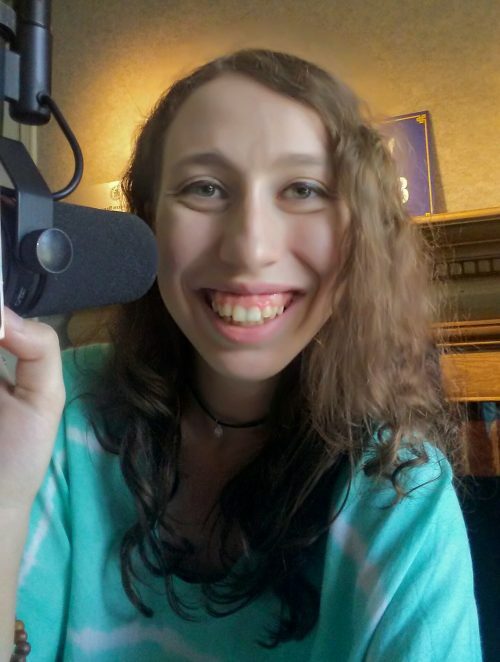 She currently hosts the show “Press X to Jam” here on 88.7 WNHU. “Press X to Jam” is Kate’s weekly show where she gets to share her love of video games and their amazing soundtracks with everyone! Ready, Player One! From the days of 8-bit classics to the modern era, video games have always been a source for fantastic soundtracks and songs. From Indie-developed electronica to the grand orchestrations of the biggest titles in the industry, Press X to Jam has it all! Join your host Kate, a.k.a. Kit Kat as she plays tracks from all genres of games and talks about the video game medium as a whole.